Two acoustic biomass surveys of orange roughy were successfully completed in June-July 2017. These surveys were the result of a collaborative effort between government, scientists and industry. The two surveys were approved by the Ministry for Primary Industries (MPI) and designed by New Zealand science institute NIWA. The acoustic science was undertaken by Australian science institute CSIRO onboard Talley’s FV Amaltal Explorer using Sealord’s Acoustic Optical System (AOS). The research was funded by orange roughy quota owners. MPI contracted the Deepwater Group to undertake the first survey, which covered a large area in the central ORH Mid-East Coast fishery offshore of Hawke Bay. The survey took place between 13-30 June across locations where spawning aggregations had previously been found and also searching a larger area to look for further spawning areas. Orange roughy aggregations were located and surveyed in two areas – Sea Valley and Rock Garden. The previous acoustic survey in 2013 measured spawning orange roughy at Sea Valley. This was the first time orange roughy had been surveyed at Rock Garden with the AOS. The second survey took place between 2-13 July, led by Talley’s Group Limited. It covered the Cook and Moeraki Canyons offshore of the South Island’s west coast. A small aggregation was found and measured on the southern edge of Cook Canyon. During both surveys trawl tows were completed to sample the aggregations to enable assessment of catch composition, spawning state, average lengths and weights of orange roughy to inform the acoustic estimates and stock assessments. The results from the surveys are due to be reported to MPI in December 2017 and will be peer reviewed through MPI's scientific working group process. These results will inform new stock assessments to determine the health of these fish stocks in early 2018. 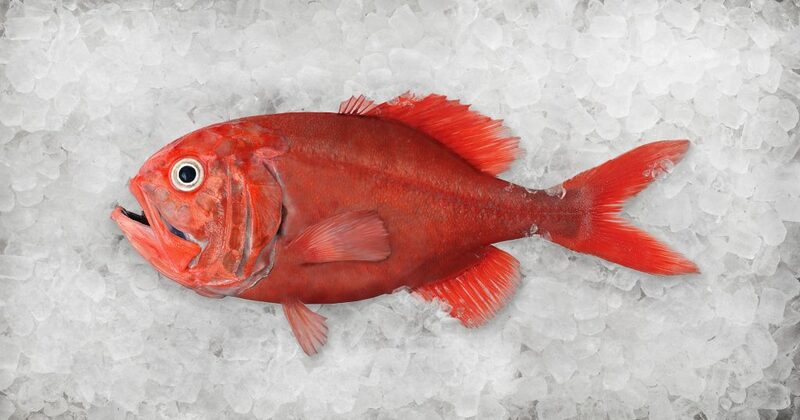 To learn more about orange roughy, watch a recent Ocean Bounty episode that profiled the orange roughy fisheries.